It is cheap enough to learn on but has the capabilities to entertain an experienced pilot. When choosing a starter quad, you should focus on a model that offers descent flight time, excellent stability and simple-to-use transmitter with different flight modes. The Hubsan X4 H107L is an amazing beginner quad and it is such a fun to fly. This quad packs quite a punch although it’s relatively small. In fact, the X4 can actually fit in the palm of your hand, yet, it’s able to provide pilots with endless hours of fun. The Hubsan X4 has really picked up steam since it was released in 2012. In fact, the updated version is one of the best micro quadcopters available today. The Hubsan X4 has the potential to fly quick and aggressively. However, this drone can also be flown conservatively if you want. It is very stable in the air, particularly indoors. These are the reasons why this drone is considered to be very suitable for all age groups and experience levels. It has a remote distance of 30 meters and offers a maximum flight time of around 9 minutes. 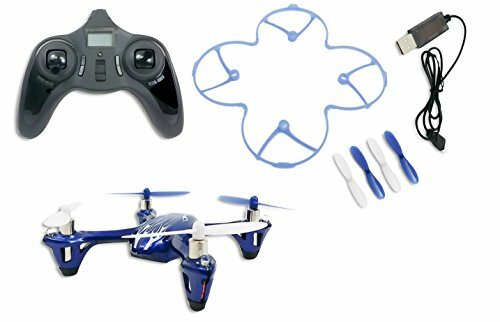 The package of this model includes quadcopter, 4 Channel 2.4GHz transmitter, 3.7V 240mah battery, USB Charge and a manual. These are some of the most important specs of Hubsan X4. The first thing that you will notice about the X4 is its tiny size. The quad isn’t much bigger than a Smartphone. The X4 comes with small rubber feet designed to absorb landings. Its sleek design is accompanied by an all-black coating with a pair of streaks along both sides of the frame. Also, the rotors of this quad might be a bit louder than other models of the same size. 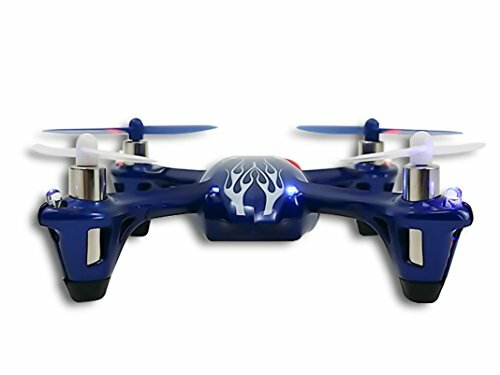 The Hubsan X4 is an indoor quadcopter with an extremely balanced body. Indoors, this quadcopter flies very aggressively. It also offers responsive, simple-to use controls that even complete beginners can get used to pretty fast. The Hubsan X4 is not recommended for outdoor flying because of its lightweight. If you want to fly it outdoor, try to fly it when weather conditions are optimal because this quad has a tendency of getting tossed around by the wind. Transmitter – The quad’s controller comes with 4-channels and operates on a 2.4 GHz frequency and is considered to be fairly universal. USB Charger – When the battery is completely dead the charging takes about 40 minutes. You can charge the battery back up to maximum capacity by connecting it to a laptop or computer via the USB cable. Spare Propellers – you can’t avoid breaking or losing propellers when flying quadcopters. Even the most experienced pilots encounter this problem. Luckily, spare propellers come in the package and they are color-coded. This makes the installation process less confusing and new propellers can simply and quickly be installed in place of old ones. is fully charged. Bear in mind that your actual flight time depends on whether or not you are flying in the wind, as well as how aggressively you fly your X4. So 9 minutes is only an average. It is recommended to buy spare batteries, considering that the flight time for the X4 isn’t that long. The Hubsan X4 transmitter comes with a power button, flight mode buttons, trim buttons, an LCD screen and two joysticks. The transmitter is very ergonomic, fits well in your hands and looks like a modified PS3 controller with style. 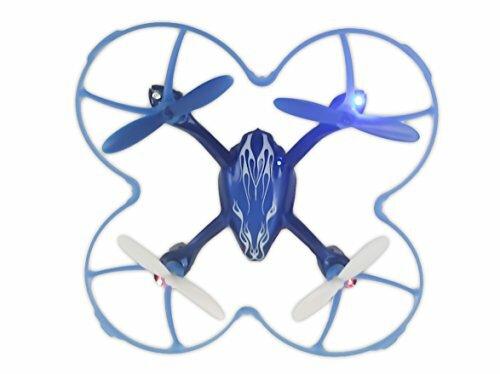 As far as transmitter signal distance is concerned, you will be able to fly this quadcopter up to 30 meters away. The response time of the X4 and the transmitter are extremely accurate. The Hubsan X4 handles superbly even though it falls into the entry category of indoor quadcopters. The Hubsan X4 is really fast and the 6-axis gyro enables this quad to withstand any kind of newbie mistakes in terms of manoeuvring the drone. It provides the drone’s body with enough balance to make it sturdy. However, it still manages to make it as flexible as possible. When press the right joystick in a specific direction, the quad will fly there without any problem. The X4’s performance can be described in one word – „smooth“. If you are looking for a fast, manoeuvrable, responsive and agile drone at an affordable price, then the Hubsan X4 is definitely a top candidate to consider. The anti-flip mode can be activated only when you are flying on Expert Mode. The anti-flip mode prevents you from performing single-button flips with your X4. Finding a good entry-level quadcopter is not very easy for newbies. The Hubsan X4 H107L is a nice option if you are getting into quads for the first time and want a reliable drone that will last you a long time. It is cheap enough to learn on but has the capabilities to entertain an experienced pilot. 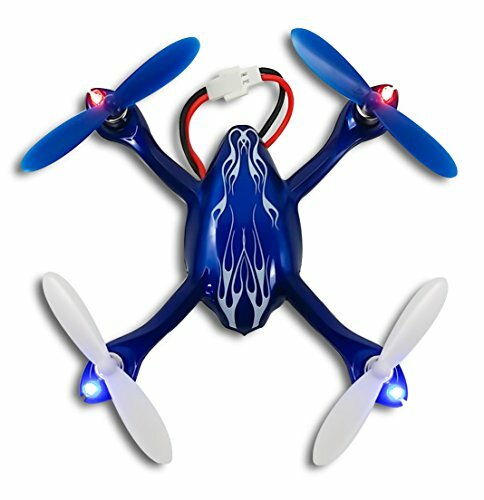 The X4 offers few flight modes, has a remote distance of 30 meters and it offers 9 minutes of flight time. 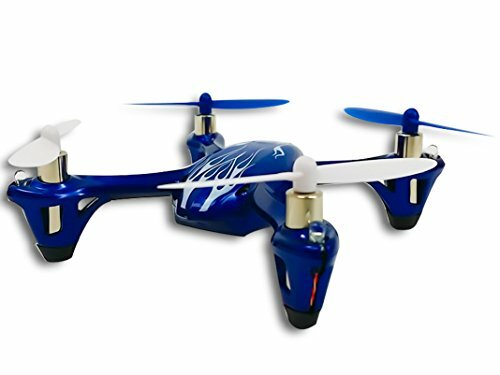 This is one of the best little quadcopters you can get to start hobby and it is recommended to get it before you look at something larger.